Goran went with some colleagues in the end of April to plant trees in the North-East province of Liaoning, not far from the border to North Korea. 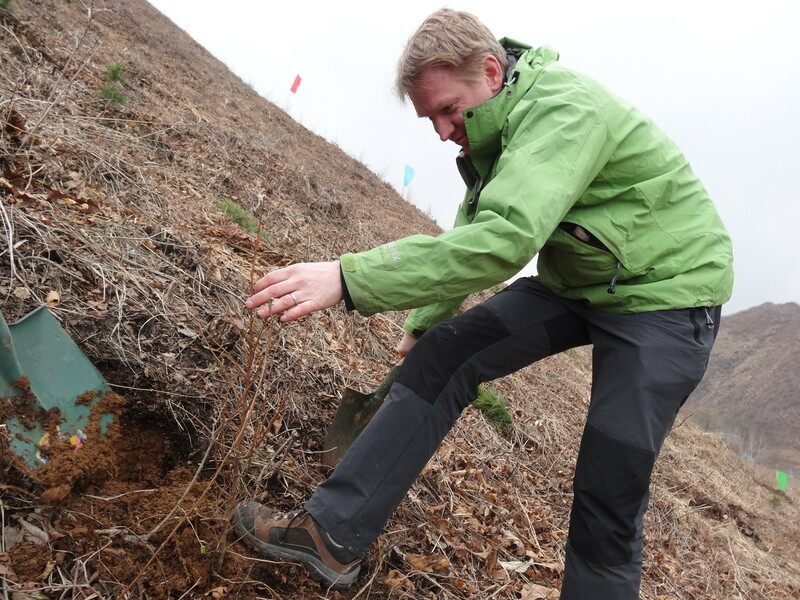 SKF has a factory in Dalian, and it was a three hour drive to the tree planting site. SKF Forest #2 in China, in Kanxia village, Xiuyan Town, Anshan district of Liaoning Province. 133 ha planted with pine and cedar trees on the west side of the village Kanxia. Planting on 25 April 2013. The tree-planting project is part of the SKF Environment Care and Community Care-programmes, and is run together with Hans Sjogren from the Swedish University of Agriculture and Forestry [click here]. . The organizer in China is the Liaoning province forestry agency, represented by Mr. Li. 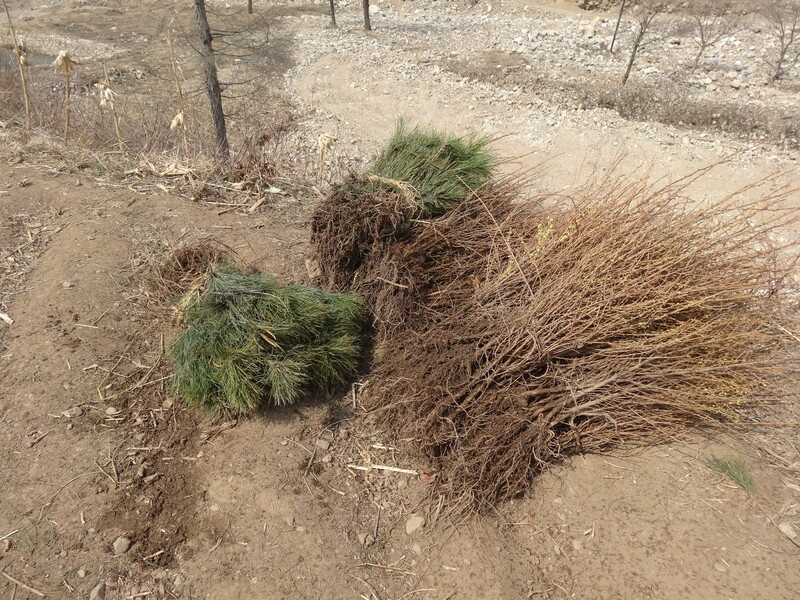 Total 133 ha of the hill side is planted with Japanese Cedar and pine trees in this project funded by SKF. 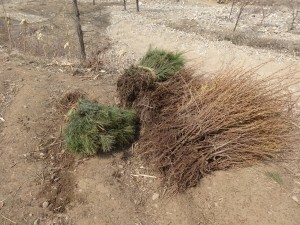 Seedling trees – pine and japanese cedar – waiting for planting. They look quite dry. Goran planted seven trees on the hillside. 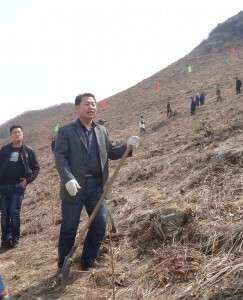 Mr Li from the Liaoning Forestry Department is responsible for the local side of the project. The hill-side where we planted the trees was in quite good shape. 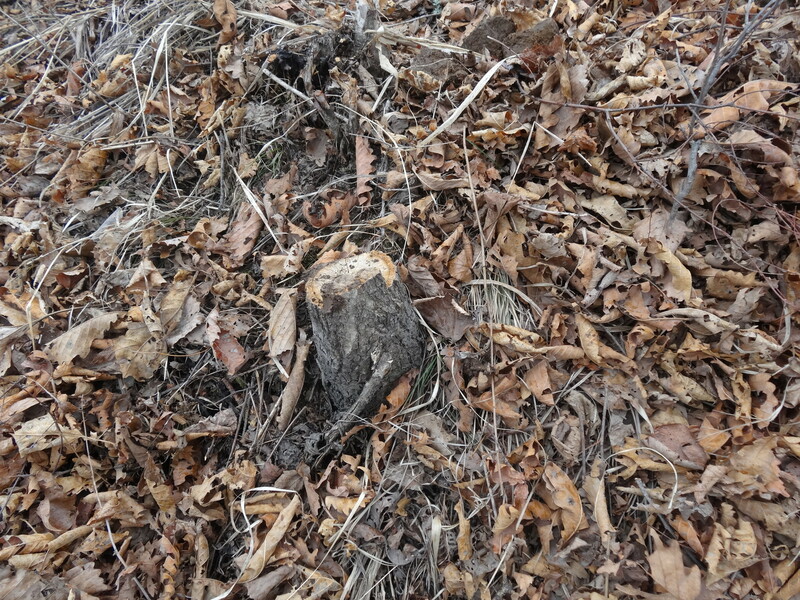 There had been trees growing here until earlier this year, when everything was cleared. Why? 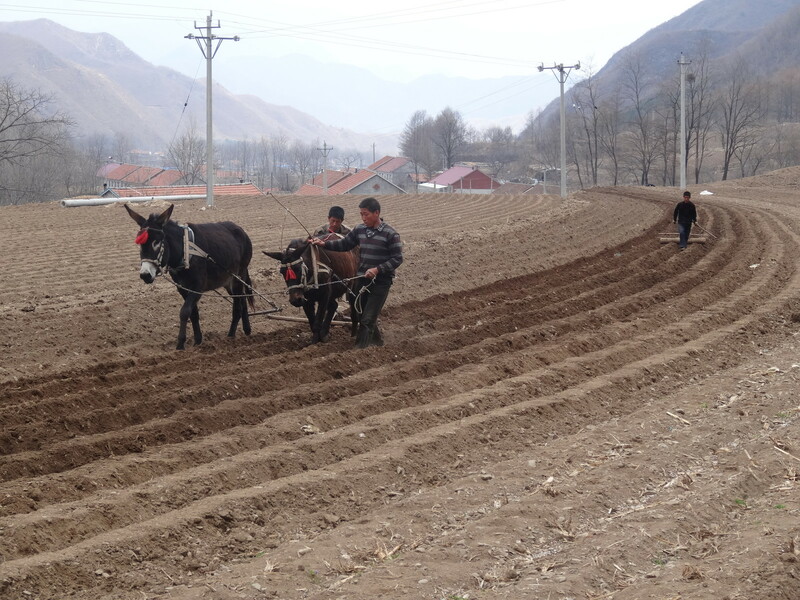 The village is growing lots of corn in large dry monoculture fields, and now is the sowing time. I believe that the large open fields will destroy the soil, and that more trees are needed around the farmlands. Trees can help retain more water over the year, and will generate organic matter through leaf litter. One fantastic project in central China [click here] was documented by John D. Liu of the Environmental Education Media Programme. Dust-dry soil is plowed into ridges for planting of corn. 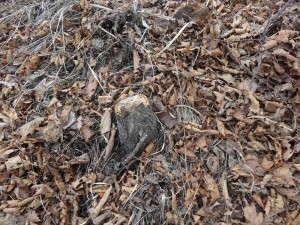 The dry winter has completely dried out the soil. 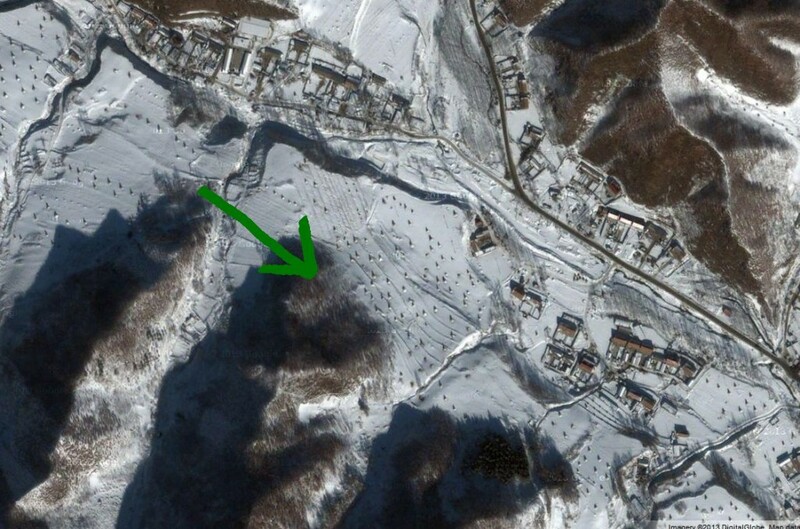 Aerial photo from January 2013, snow covered trees before cutting. (c) Google Earth.